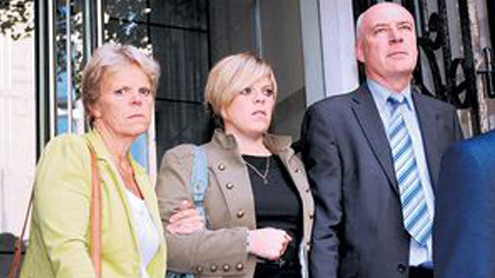 The family of the murdered schoolgirl Milly Dowler have been offered nearly £3m by Rupert Murdoch’s News International as the company tries to draw a line under the single most damaging incident in the phone-hacking scandal. The huge payout, which The Independent understands is to be divided between Milly’s family and charities designated by them, comes after Mr Murdoch held his head in his hands in a meeting with the teenager’s parents this summer and repeatedly apologised for the interception of her voicemails by his News of the World. The revelation in July that the private investigator Glenn Mulcaire accessed Milly’s mobile phone on behalf of NOTW after her disappearance in March 2002 – and that messages were deleted from her phone, giving her family false hope that she was still alive – was a tipping point in the hacking saga, unleashing a wave of public anger and revulsion which ultimately forced the closure of the 168-year-old tabloid. The revelation sparked an unprecedented risis in the Murdoch empire. The main principles of the settlement between NI and the Dowler family have been agreed and the package is expected to be finalised in the coming days. It is likely that Mr Murdoch personally approved the payment to the Dowlers. The cash sum will be divided between damages paid for the distress caused to her parents and sister, and a separate sum for charities chosen by the Dowler family. It is understood that Murdoch will personally sign the £1m cheque for the charities. Following a memorial service for their daughter in 2002, Sally and Bob Dowler set up Milly’s Fund, a charity that aimed to promote public safety and was later wound into the Suzy Lamplugh Trust. The Dowlers will remain core participants in the Leveson inquiry into the media. Mark Lewis, the lawyer representing the Dowlers, was unavailable for comment last night. The settlement dwarfs other payments made so far in the scandal, including the £100,000 paid to the actress Sienna Miller. NI also paid £700,000 to the footballers’ union boss Gordon Taylor in 2008 and £1m to the publicist Max Clifford last year. The settlement with the Dowlers, who this summer saw former bouncer Levi Bellfield convicted of Milly’s murder, means the total cost to NI of paying damages to victims is almost certain to significantly exceed the £20m the company set aside to meet the burgeoning number of High Court lawsuits against it. The transformation of the phone-hacking scandal from a story about gathering gossip on celebrities to a firestorm about how Britain’s biggest newspaper group interfered with a police investigation into the murder of a child was a nadir for Mr Murdoch. He requested a private meeting with Milly’s parents and her sister Gemma at which he repeatedly told them he was “very, very sorry”. Mr Lewis, speaking at the time, said: “He was very humbled and very shaken and very sincere. I don’t think somebody could have held their head in their hands so many times and say that they were sorry.” The Independent Police Complaints Commission last month launched an investigation into claims that a detective with Surrey Police passed information from the Dowler murder hunt to the NOTW.